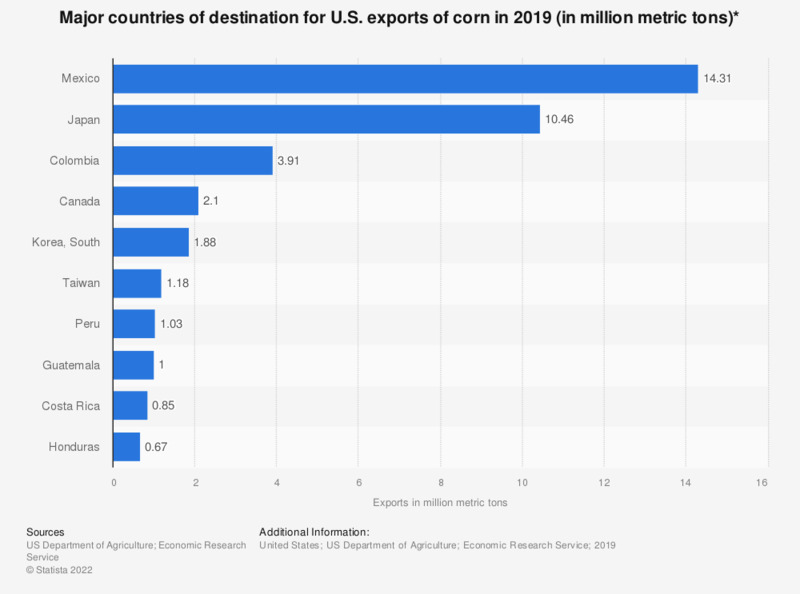 This statistic shows major countries of destination for U.S. exports of corn in 2017. In that year, corn exports from the United States to Mexico came to approximately 14.7 million metric tons. * Compiled from U.S. Census data. Excludes seed, popcorn. Data does not reflect 13 month changes.